My great-grandmother, Nanny, was a modern woman before her time and if she were alive today she would have still broken the mold when it comes to strong, southern women. Growing up in Mississippi, she had her sights on going to college in Tennessee to become a teacher and star basketball player. So she set out to make her way by selling tomatoes on the side roads of the Delta to get where she intended to go and never looked back. 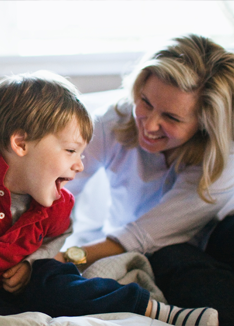 Nanny was so independent that she once drove herself to Nashville, checked in the hospital for surgery not even telling my great-grandfather, Frandaddy. Her reply was that he didn’t need to know! Nanny never slowed down, some of my fondest memories are picking vegetables in her garden and watching her tend to her beloved tomato plants. It was nothing for her to go out in the morning, wring a chicken’s neck and the next thing you know it was fried chicken for breakfast. In her seventies, she won the Van Buren county beauty pageant, walked 10 miles to raise money for cancer and got up every morning to work-out on her stationery bicycle. So yes, I come from a long line of strong, southern women. I like to think I have Nanny’s steely will and her love of tomatoes. Enjoy an updated classic wedge salad with a modern twist! 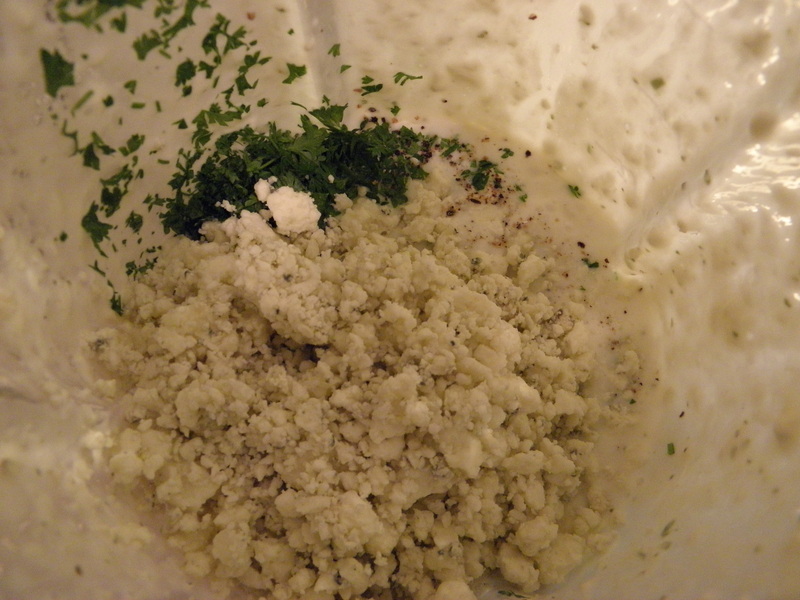 In a blender, combine Boursin cheese and buttermilk until you reach a smooth consistency. Add fresh parley, blue cheese crumbles and salt and pepper. Pulse a few times, until the blue cheese is incorporated. 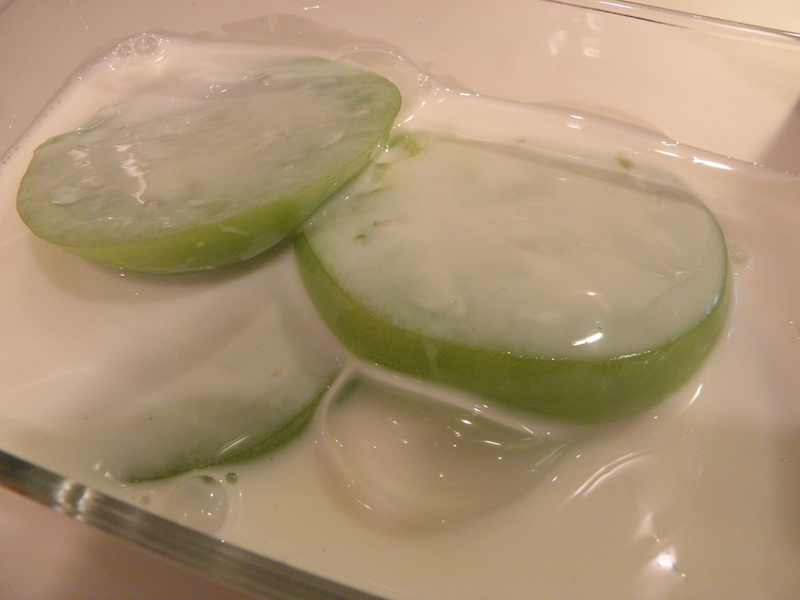 If you like a thinner dressing just add a bit more buttermilk. Chill until ready to serve. 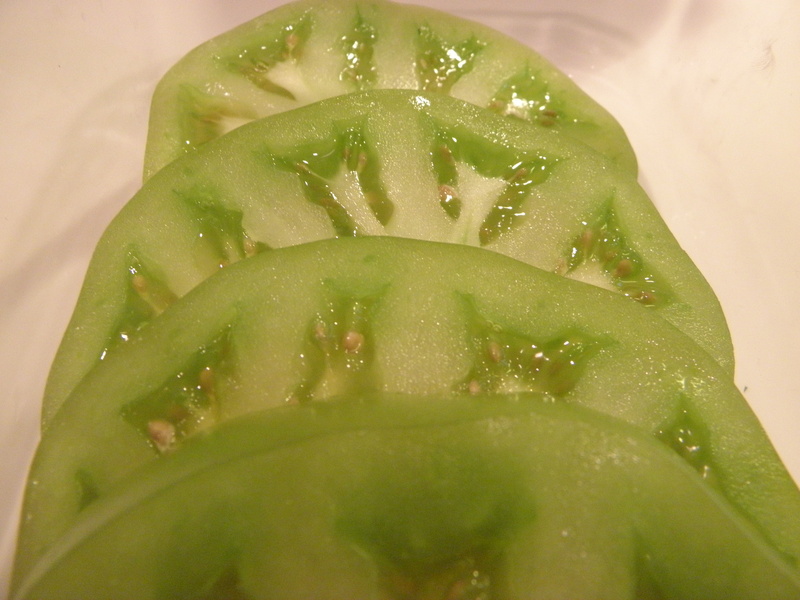 Slice green tomatoes in 1/2″ thick slices and place in between paper towels to soak up excess moisture. Let sit for about 5 minutes. 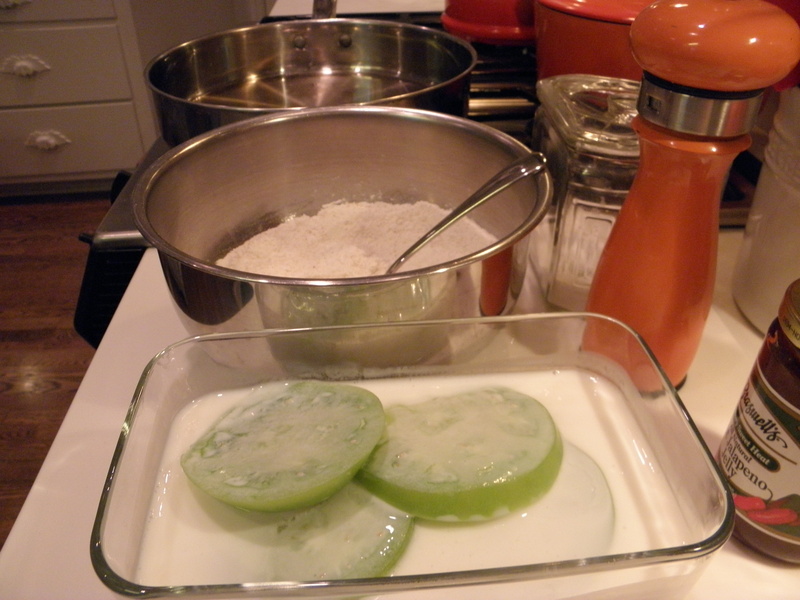 Place tomatoes in a shallow dish and cover with buttermilk. 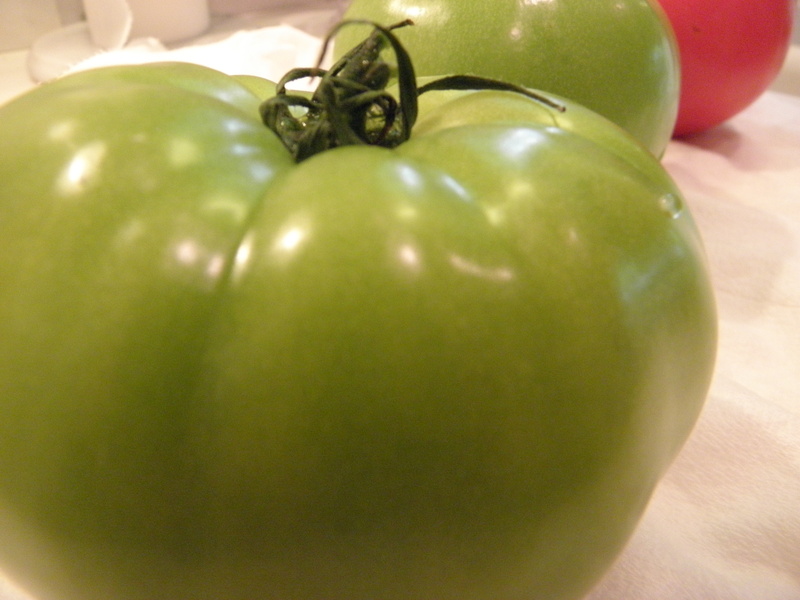 While tomatoes are soaking, combine cornmeal and flour in another shallow dish. Season well with salt and pepper. I prefer my favorite Cajun seasoning instead of salt and pepper for the extra kick. In a large skillet, heat about an inch of oil over medium-high heat. Take tomato slices, shaking off excess liquid and dredge in cornmeal mixture, place in hot oil and cook for 4-5 minutes per side. After cooking, place fried tomatoes on paper towels to drain off excess oil. Cut the iceberg lettuce into 6 - 8 wedges. 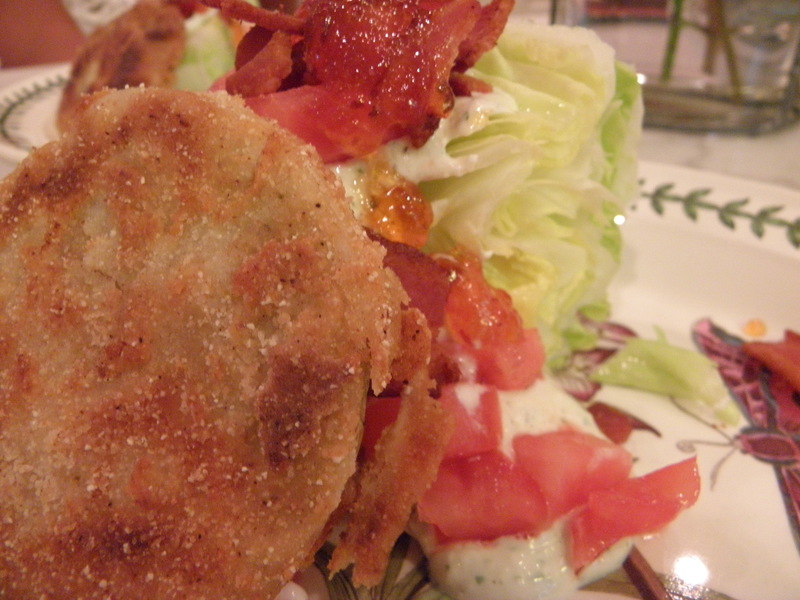 Top each wedge with a spoonful of blue cheese dressing, diced tomatoes, crumbled bacon and fried green tomatoes. 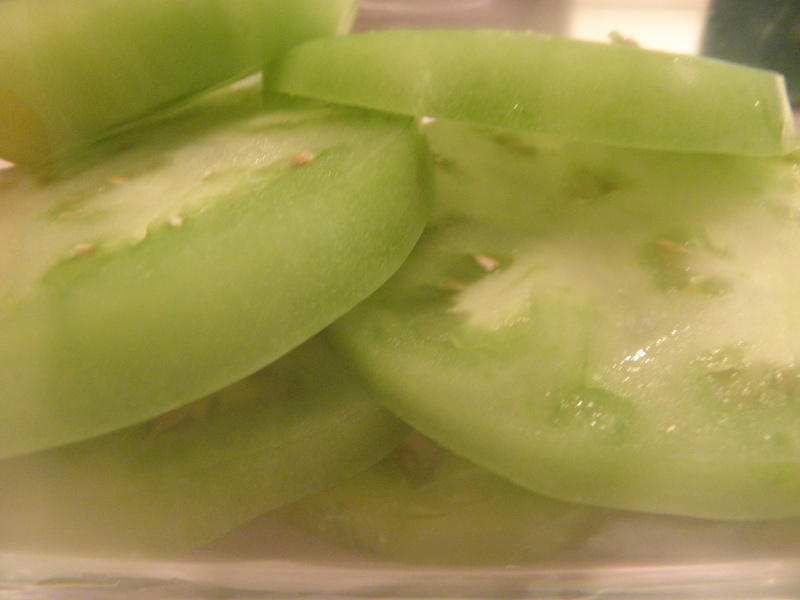 Drizzle a spoonful of hot jalapeno pepper jelly over the wedge salad before serving. 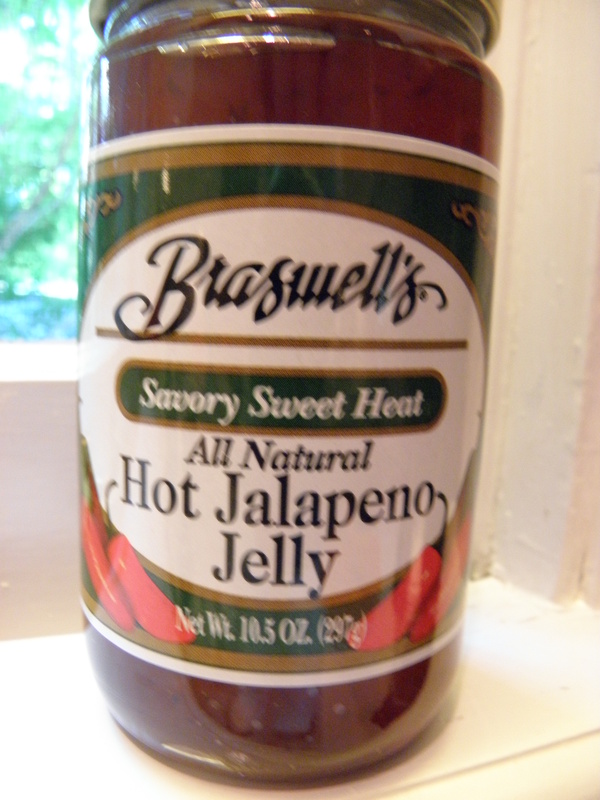 Need a fast hor d’oeuvre, pour the rest of the pepper jelly over a block of cream cheese and serve with Triscuits! 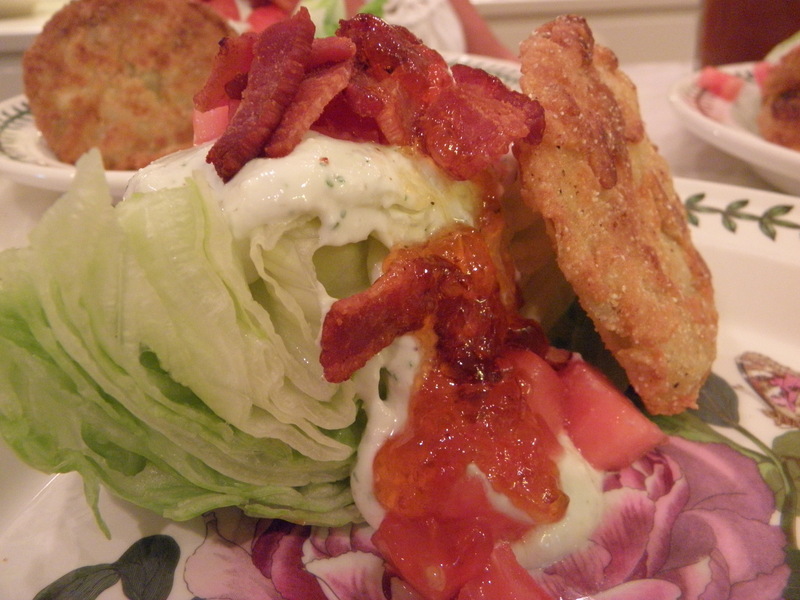 This entry was posted in Salads and tagged bacon, blt, blue cheese dressing, cooking, Food, fried green tomaotes, hot jalapeno pepper jelly, iceberg, recipe, salad, tomatoes, wedge on July 13, 2011 by lolleigh.